Tired of expensive and unreliable business phone service? 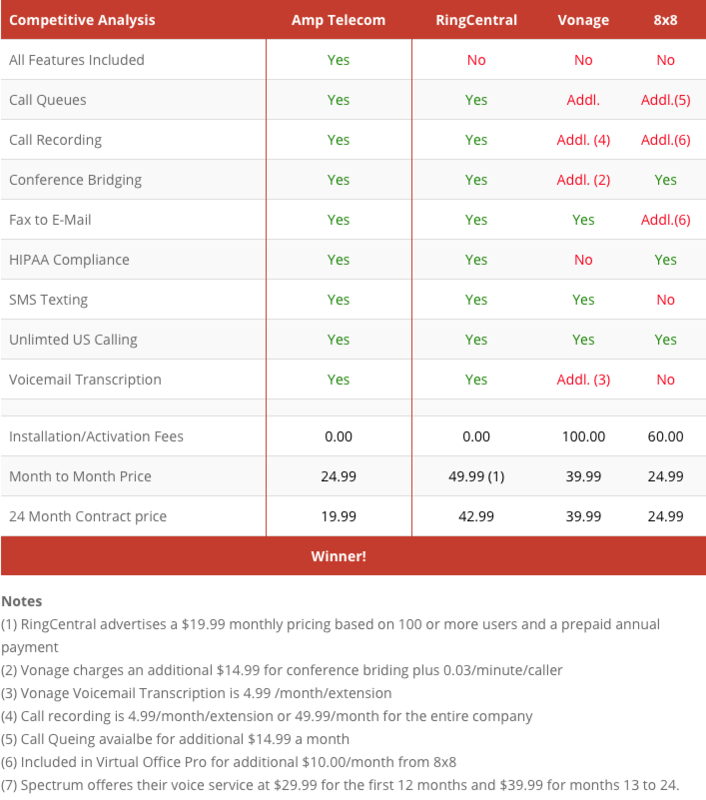 Get a Cloud-based Business Voice Over IP (VOIP) phone solution from Amp Telecom with amazing clarity and 24x7 reliability, and you even could cut your phone bill up to 60 percent. Got any technical questions, or looking to fine-tune your settings? You enjoy hassle-free support and training from a US-based team of experts with more than 20 years of telecommunications experience. Amp Telecom Beats The Competition! The folks at Amp are top notch when it comes to customer service. They set us up with exactly what we needed … at an affordable cost. They were interested in making sure they understood what we needed … and giving us just that. The service has delivered, we are thrilled we started using Amp. Je'Von I.